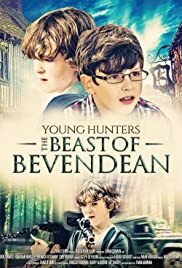 Young Hunters: The Beast of Bevendean is a children's action adventure film, about two boy's hunt for the mysterious creature said to be living in the woods on the edge of town. I saw this film at the cast/crew premiere and I thought it was great. The performances from the actors were great, especially the two boys who had the task of making the film flow. It shows the typical child-like curiosity very well when the kids see something interesting (in this case the big cat) and want to go investigating without any fear or understanding of the consequences. The level or danger was spot on. Not to light to insult the young audience but not too scary either. All in all a great first feature film from this director and I look forward to seeing more of his work! The music was also great and original, and set the mood perfectly. I really hope to see a sequel to this film.